REMPCO expanded into gear manufacturing in 1982 to compliment our threaded product offerings. 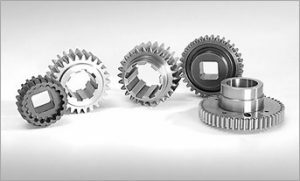 Our gear line includes spur, helical, miter and bevel, worm sets, and racks and sprockets of all types. 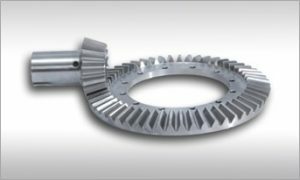 We manufacture both external and internal gears using certified, high-grade materials for improved accuracy, superior performance, and long life. REMPCO’s sprocket line-up includes a wide variety of custom manufactured chain and synchronous belt drive types to fit practically any application. If you’re looking for a custom solution for your industrial machinery, get in touch with REMPCO. Whether you need gears, shafts, specialty threaded products, or other components, we’re confident that we can help you with the replacement parts you need. REMPCO gear manufacturing capabilities are specified in accordance with AGMA and ISO standards. 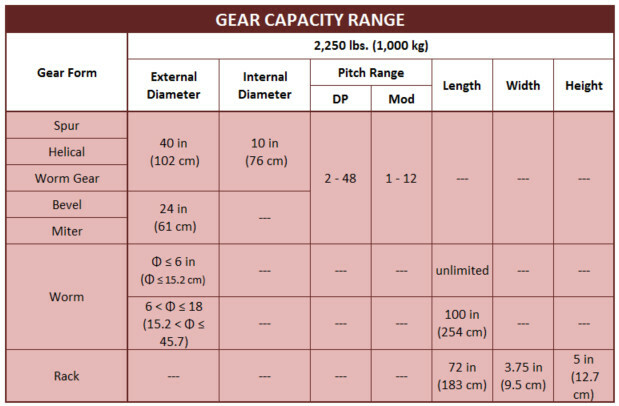 REMPCO gear capacity ranges according to gear type.